The Lil Flea Will Let You Bring A Book You've Already Read & Exchange It For Any Other You Like! Meet Lil Flea - Mumbai’s most loved flea market with hippie vibes that’s enough to give you pseudo-Coachella feels right here in town! After three mega successful years in Mumbai, they’re now headed to town loaded with explosive talent from the culinary world AND the world of fashion and entertainment! The fest is full of promises and we just can’t wait to head there. Apart from all the shopping and grubbing, The Lil Flea also has something in line for all book lovers! 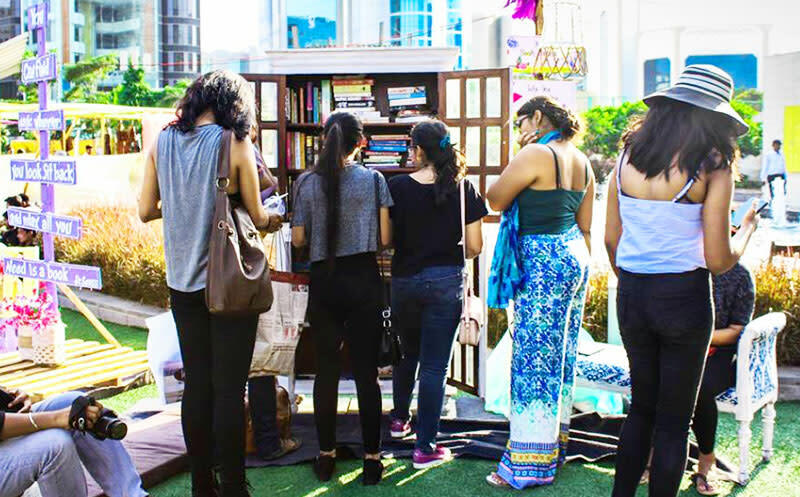 They’ve got a super cool concept called #TheLilBookExchange! At this book exhange, things are very very simple - all you gotta do is get a book that you’ve already read to the flea and exchange it from the wide variety of books that others will bring and place here! So basically for no added cost, you can simply exchange an old title that you’re ready to part with for one that you haven’t ever read! We’re lovin’ this, Lil Flea!